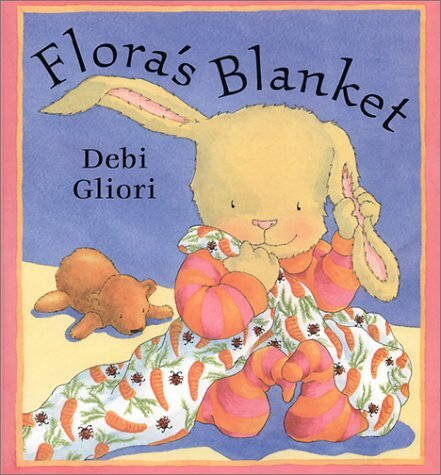 Cute children’s story ideas centered around blankets. Spring is right around the corner! It is the perfect time to do the spring cleaning and update your home’s interior. But what if you aren’t ready to commit to a new style? I have been thinking about repainting the walls in my house, but I am a” color-phobic.” I have lived in my house for over 20 years, and to this day, the walls are still white. I want to update the look of the parlor and the spare bedroom without going into debt. I found the perfect solution that will not break the bank or cause me to wake up and cry every day with regret. For the parlor I selected a BRIGHT colored throw blanket to add a splash of visual interest and warmth to the room. The throw is lightweight and can be draped over the edge of the chair or couch, which gives it an updated look. For the spare bedroom I folded another throw across the middle of the bed to pump the style up and color the room. It’s a win-win; I get an updated look without having to be married to the wall color. I can mix up the throws and change them anytime. -Move the furniture around to give it a new look. -Switch out some of your lamp shades for a new color. -Change out your old Berkshire soft throw with a new color or even a new fabrication. It’s a great time to take the old Serasoft® throw and replace it with a lighter weight fleece. This blanket is my inspiration object for my new painting project. Deciding on what color to paint a wall can be a real commitment and daunting task. Yet, painting can be a great way to refresh a room. I like to start with a favorite object, fabric, or inspiration piece that I plan to have in the room. It’s much easier to find paint that coordinates with your inspiration piece than hunt down one that “might” work with the walls. Although, we all get lucky sometimes. I’ve had this beautiful embroidered Serenelle throw with Smokey Aqua florals…and I’ve been in an oceanic grey blue mood, so I think I’ve got it narrowed down to the right color for my next project. The melting of the snow and a sprig of spring shooting up from the ground. Driving in the country and pulling over to pet two cheerful donkeys. The sanctuary of a Green Zen garden. Wearing a beautiful deep sea sheer, ethereal blouse. Deep green lotus leaf wrapped sticky rice alongside sesame balls. …For now a sesame colored chair and deep green throw reminds me of all those things, so I can bring nature inside. Will you be inspired by green? It’s often been said, “One man’s trash is another man’s treasure.” This statement could not be more true. There is nothing more exhilarating than finding a piece of furniture on the side of the road or at your local Salvation Army! It’s the hunt and the unknown behind someone else’s trash that makes it my treasure. It was a challenge a year ago when I moved into my apartment on a shoe-string budget with no furniture. How was I going to afford the trendy nightstands that you see in magazines? Oh and that cute accent chair with the perfect throw draped over it? That’s when I started scavenging local flea markets, tag sales, and thrift shops to find the perfect pieces that were budget friendly. Above is a solid wood table that I found at thrift store for $2.00. Check out this before and after…With a little TLC, this table went from drab to fab, making the perfect night stand! Pictured above is the nightstand in my bedroom (thrift shop)-$2, Mason jar with plant, antique enamel lamp (local antique shop)-$16, old gold frames painted black with old family photos of my grandparents, and my snuggly Berkshire Blanket comforter. A little enamel painted dish my mother gave me years ago that was made in Germany. Nightstand refinished to match the other side table by my bed (thrift shop) $2, Basket, glass vase with plant cutting, gold pineapple lamp, wooden framed mirror (tag sale) $2. Above is by far my most favorite find and true bargain! A Danish chair with official marking – (local flea market) $12, Houndstooth throw $10 (Berkshire Blanket Outlet Store), Antique wooden bucket with magazines (my grandmothers), Pillow-brand new with tags (thrift store) $3.